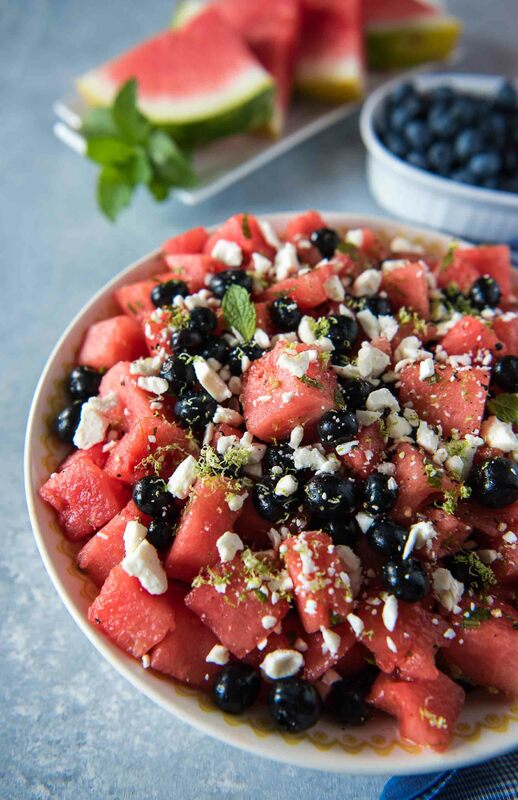 A bit of sweet, a little tart, and a touch of savory, this Blueberry Watermelon Salad is a delightful addition to any summer picnic! 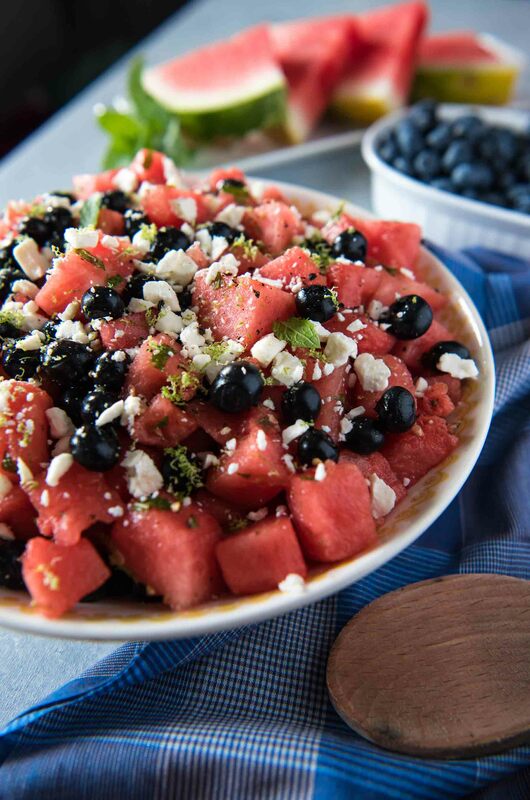 Fresh blueberries & watermelon play nicely with lime, feta, and refreshing mint. Here I go again with the watermelon. It can’t be helped. Summer calls for going all out and getting the biggest melon you can find, since you know you’re going to eat it until you burst. Or, if you’re like me, you’re going to find a way to use every last bit of it making tasty recipes. This concoction isn’t boozy like the last one was, but I can promise you that it’s equally delicious and satisfying. Plus, it’s patriotic as all get out, and there can never be enough red, white, and blue foods on the table on the 4th of July, right? 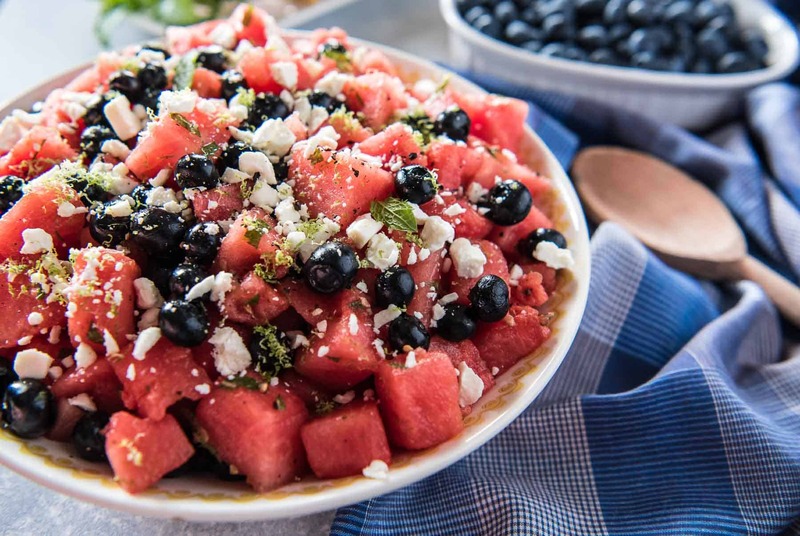 The inspiration for this Blueberry Watermelon Salad recipe came from multiple sources, but mostly from The Hubs putting lime and salt on every slice of watermelon he eats. And convincing me that I’ll never eat it any other way again. In spite of the holiday being on Tuesday, we all know celebrations are happening all weekend, so I’ll keep this short and sweet. 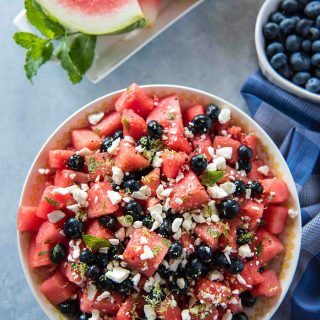 If you’re needing a last-minute side dish to take to a picnic or BBQ, I highly recommend this salad! 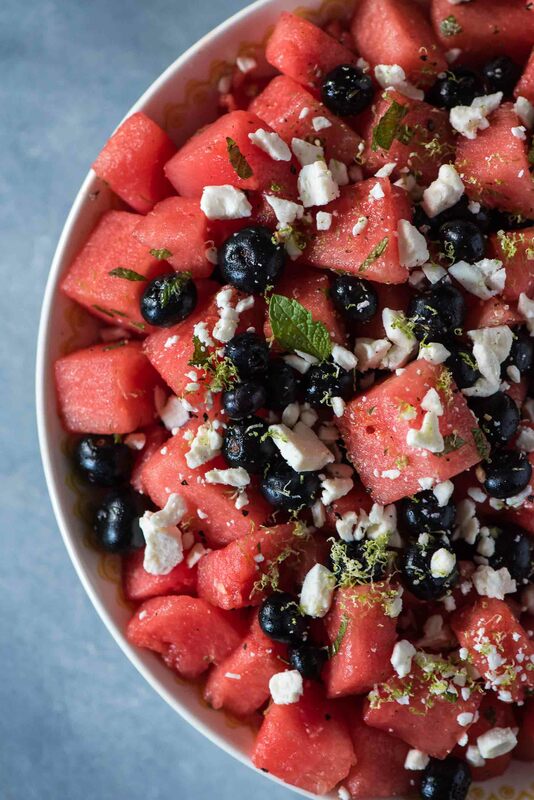 It’s sweet and refreshing, thanks to the melon and mint, a touch savory thanks to the feta and sea salt, and the entirely zested and juiced lime inside takes care of any need for tart. Honestly, I just added them in to make the salad more seasonally appropriate, but damn if they don’t work! The texture contrast is lovely – every bite makes your mouth happy. A touch of avocado oil and a twist of black pepper, and you’re in business. The bowl I made was enough for 4 (although Hubs took down most of it himself,) but you can easily make as much as the biggest bowl you have can hold. Go forth! 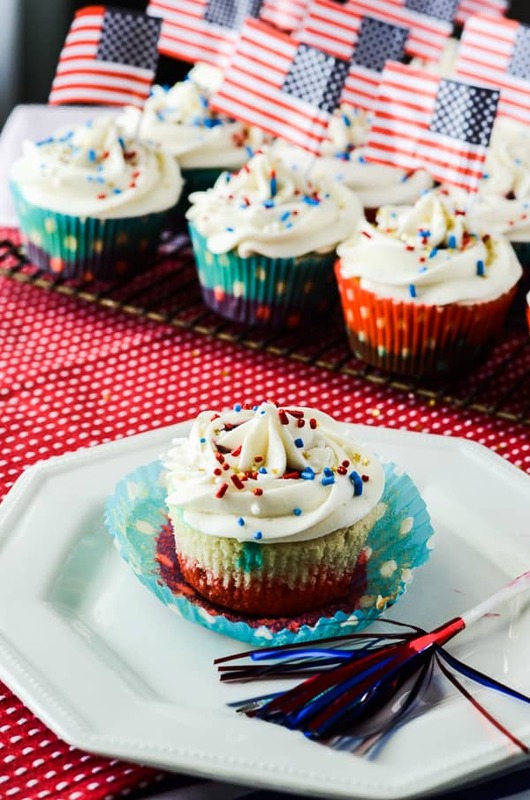 Picnic, party, and be patriotic! 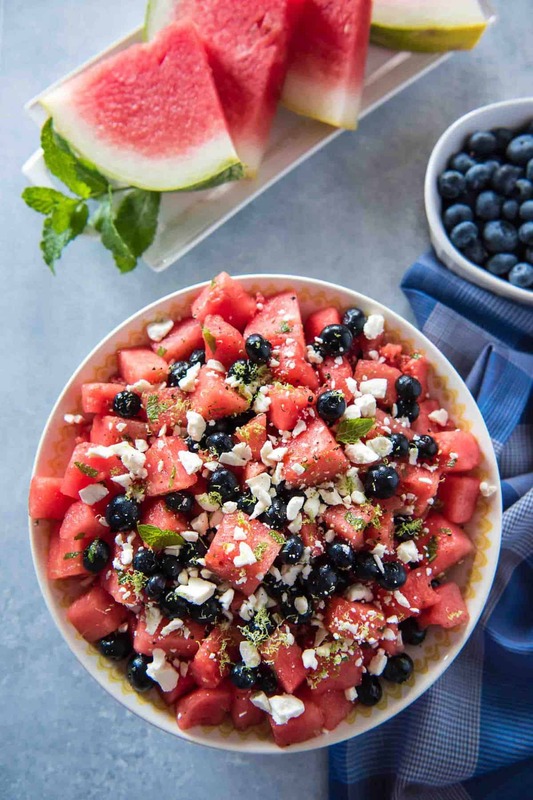 Place watermelon chunks and blueberries in a large bowl. Add lime juice and half of zest, oil, and mint and toss until evenly dressed. Season to taste with salt and pepper. Spread salad evenly in a large serving bowl or plate. Crumble feta over the top. then sprinkle with remaining zest. Drizzle with more oil and black pepper if desired. Serve immediately, refrigerating any leftovers. Looking for more side dishes? 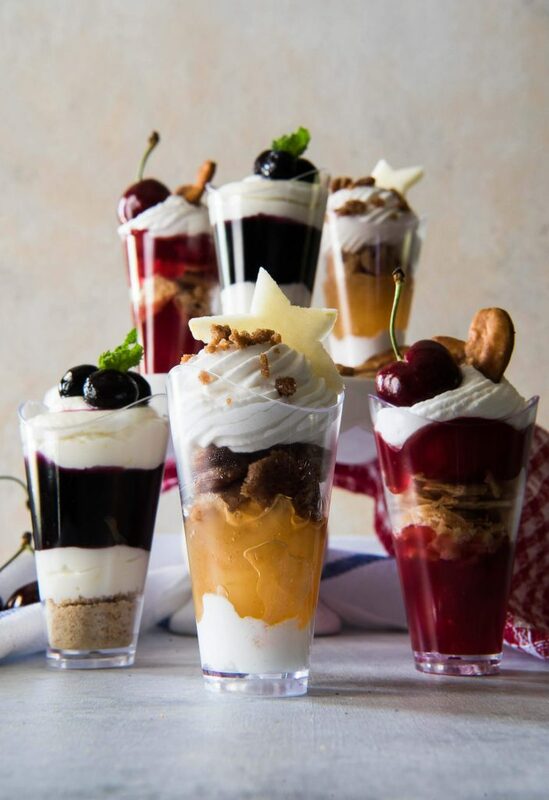 Or how about more Red, White, and Blue Recipes? Thank you!! You know, I was skeptical about avo oil at first…purely an EVOO devotee. But let me tell you, I’ve been converted!! I love this recipe!! It’s beautiful, delicious and perfect for the 4th!! I have all the ingredients too! I’ve made this salad without blueberries, but those sound like a fabulous addition. I’m sure I didn’t use avocado oil either and this reminded me that I need to replace the can I tossed a few weeks ago. Happy 4th!!! This is so pretty and just screams summer! I love the salty/sweet/tangy combination here! It sounds amazing. Watermelon is a huge hit at our house. Can’t wait to try this! That is one gorgeous salad! I love the addition of the blueberries! So bright and colorful! I would love to celebrate July 4th with this. I can’t get enough watermelon in summer. Great salad idea!